Is your diaper bag a backpack? Would your kids rather watch actual birds than play Angry Birds? Is your favourite family meal cooked on a camp fire? If you answered yes to any (or all) of these questions, we think your crew qualifies as a fresh air family. Here are some experiences in Hamilton Halton Brant that we think you’ll love. Don’t let winter stop your sense of adventure. 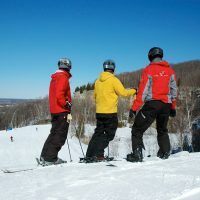 Embrace the flake with awesome activities like skiing and snowboarding at Kelso’s Glen Eden. Winter wanderers will love snowshoeing and cross-country skiing at Pinehurst Lake, Crawford Lake, Mountsberg, Hilton Falls, Christie Lake, Valens Lake and Dundas Valley conservation areas. Crawford Lake also offers sunset snowshoe hikes for families and moonlight snowshoe hikes for adults every Saturday during the winter season. Get off the beaten path on a Grand Valley winter hike with Grand Experiences. 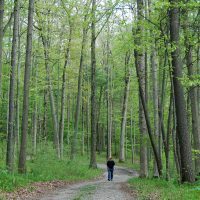 This guided hike takes you through conservation lands where you’ll see wildlife in their natural habitat, search for animal tracks and spot bald eagle nests. You may even catch a glimpse of the amazing eagle returning from a hunting trip. An advanced version of this trip teaches you winter survival skills in the forest plus a campfire cookout. Grand River Rafting’s turbo tubes are perfect for families looking to explore the Grand River at a leisurely pace. The 8-km trip takes you through serene landscape boasting lush forest and wildlife. You can drift freely or tie your tubes together for a family float. Kids 3 and up are permitted to tube. Local outfitter Grand Experiences has the equipment you need, including kayaks, rafts and canoes, for a paddle down the Cayuga Run. This self-guided trip flows with the river’s current, so little paddlers won’t get too tired out on this ride. 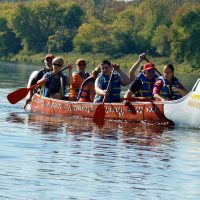 On Grand Experiences’ Turtle Island Aboriginal Adventure you’ll journey along the Grand River in a 12-person Voyageur Canoe to Turtle Island to meet a Native storyteller around a campfire. 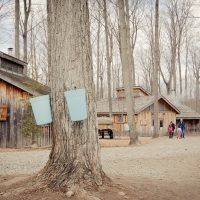 Along the way you’ll learn about the surrounding Carolinian forest and maybe even see some wildlife! Try a family kayaking experience on the Grand River. Grand River Rafting offers 2-person inflatable non-tip yaks, which are similar to kayaks and are great for little ones learning to paddle. They also offer a great family rafting experience. The 13 km self-guided Cayuga route is perfect for families with children 2 and up. You’ll get a map before you leave to guide you along the way and show you the best spots to jump out for a swim. The route also boasts scenic views and a picnic area complete with facilities. 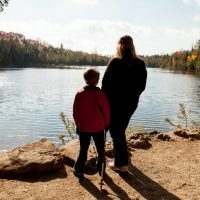 Close-by camping option: Families looking for fresh-air fun will have a blast camping at Brant Park Conservation Area. With its close proximity to the Grand River, you can enjoy the activities of the park as well as nearby paddling outfitters. Hamilton is a hiker’s paradise, boasting a vast trail network and over 100 waterfalls that are easily accessible from the city’s core. Head over to Royal Botanical Gardens for a guided, half-day hike. Expert guides are happy to answer questions along the way, as well as teach hikers about the unique, natural setting around them. 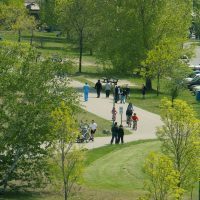 Hendrie Valley is great for families looking to hike. 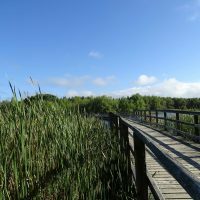 The 100-hectre grindstone creek valley stretches to the end of Carroll’s Bay and contains the finest collection of floodplain wetlands in western Lake Ontario. 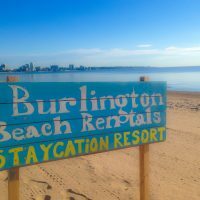 Eight waterfront parks, a beautiful beach area and a vibrant renewed downtown waterfront, pier and promenade make the Burlington Waterfront the perfect place for family fun. Bring your bikes or rent some from local outfitters and spend the day cycling along scenic Lake Ontario shoreline, then take to the water for a family stand up paddleboarding excursion. While you’re in the neighbourhood, enjoy a paddling experience at Royal Botanical Gardens’ Cootes Paradise. Learn about the wetland plants and discover the unique wildlife that surrounds the natural marshland. Unleash your inner warrior and head to Triggers and Bows in Brant County for an afternoon of archery. Lessons are available for bow and arrow beginners, and those familiar with the sport can rent a lane with equipment. 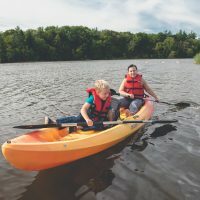 Grand River Conservation Authority has created two downloadable lists that each contain 50 awesome things families can do together outside this summer (but really, you can try to do them any season). Mountsberg Conservation Area’s Raptor Centre is a must-do for amazing animal encounters. The Centre is home to 15 different species of native birds of prey, including eagles, hawks, owls, vultures and falcons. Birds of Prey shows are held on weekends and holidays, and you can even arrange for a private raptor encounter. 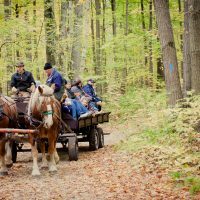 Horse-drawn wagon rides, a petting zoo and Play Barn, and a Wildlife Walkway featuring a herd of bison make Mountsberg an ideal destination for kids and kids-at-heart. Continue your animal exploration at Royal Botanical Gardens’ Reptile Rendezvous. This interactive exhibit features some of the world’s coolest creatures like vipers, cobras, alligators, lizards and turtles. You’ll also learn about the reptiles’ natural habitats and which ones can be found right here in Ontario. 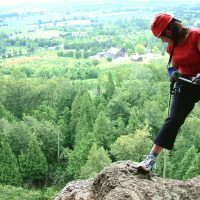 Try climbing up or rappelling off the limestone cliffs of the Niagara Escarpment at Rattlesnake Point. Local outfitter, One Axe Pursuits, provides rock climbing and rappelling lessons for beginners of all ages. Helmets, harnesses and other required gear are provided, so all you need to bring is your sense of adventure. If you’d rather stay on the ground, you’ll love trekking the scenic 12.7 km of colour-coded trails the park has to offer. Hikes range from 1 to 7.2 km and offer some of the best views in the province. Valens Lake Conservation Area offers endless fun for families looking to camp for a few days. The park’s 10 km of trails are great for hiking and cycling, and the sandy beach and natural lake area is the perfect place to relax and swim. Families looking to paddle can rent kayaks, canoes and rowboats at the park. Families looking for fresh-air fun will have a blast camping at Brant Park. With its close proximity to the Grand River, you can enjoy the activities of the park as well as nearby paddling outfitters. Take some time to explore Brant Park’s nature trails by foot or by bike. Kids will also love swimming in the park’s 1.25-acre pool. Pinehurst Lake is another great camping option that’s close to the Grand River. Escape to the great outdoors for a weekend campout at Bronte Creek Provincial Park. Families will love the park’s leisurely trails, family-friendly attractions, 1.8-acre swimming pool, as well as its close proximity to the region’s outdoor gems. New to camping? Bronte Creek Provincial Park’s Learn to Camp program is perfect for families looking to try new outdoor experiences. Join Ontario Parks leaders and fellow new campers on an overnight camping trip to learn all you need to know to become confident campers. You’ll learn how to set-up camp, build a campfire and much more. Reserve your spot early, this popular program fills up quickly. 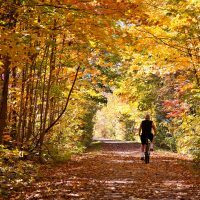 Kelso Conservation Area in Milton offers amazing Niagara Escarpment views and easy access to some of the region’s best mountain bike trails. The 22 km of trails are well marked and rated by skill level for convenience. Kelso’s new Mountain Bike Skills Zone, which features wooden bridges, rollers, rocks and logs, is a great place for riders of all ages to check out before heading out on the trails. Plan to camp for the night at Kelso so you can ride a little longer. If you’re looking for a leisurely ride, you’ll love Halton’s Escarpment View route. Breathtaking views of rich agricultural land and the Niagara Escarpment are everywhere on this 31 km trip. 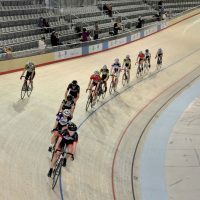 Park and start at Milton’s Velodrome Centre then head over to Bell School Line and down into beautiful rural Burlington. Cycle under the impressive rock face of the escarpment on Walker’s Line. You’ll eventually wind your way back up to the Village of Kilbride. Looking for two-wheel fun but lacking the four wheels needed to get there? GO Transit offers bike trains every day of the week (except during rush hour), making it easy for car-less families to explore new trails close to home. Ride the GO and get off at Burlington Station. Head towards the Waterfront Trail. This seamlessly smooth trail connecting Burlington to Hamilton is perfect for parents with trailers and kid seats, as well as little ones learning to pedal on their own. Enjoy scenic Lake Ontario shorelines, playgrounds, beaches, attractions and restaurants as you make your way along the 10 km trail. Stop at Confederation Park for an afternoon of fun. Kids will love the waterpark and the activities and attractions of Adventure Village. Just be sure to save a little bit of energy for the ride back. 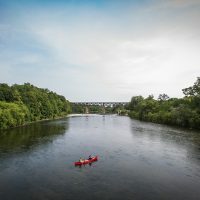 If you’re looking for a longer ride that offers overnight stops, the 50 km Hambur Loop that winds through Hamilton and Burlington offers recreational cyclists a great touring option for taking in some of the area’s most stunning waterfronts and scenic lookouts. Start the ride at Aldershot GO Station or get off at Burlington GO Station and pick up the trail at the waterfront. Looking for more outdoor adventure inspiration, click here. 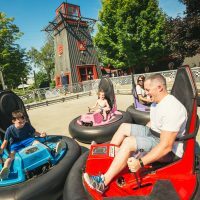 Cost: $55 for 1 adult and 1 child. $20 for each additional child. Pre-registration is required. Cost: $50 per person. Pre-registration is required. Saturday, April 20, 6:30-9:30pm, in my Carlisle Studio, $54 per person including all supplies. Held every Full Moon 7:50 p.m. - 9 p.m. The definitive spring guide to fresh air forays. The list of our region’s claims to fame keeps growing. Why birdwatchers flock to these six hotspots. Travel east to explore the Bruce Trail, Niagara Escarpment landscapes, the Waterfront Trail and Lake Ontario lookouts on this two-day trek. Hamilton is the home of extraordinary natural landmarks and the place to take in breathtaking views of thundering, rushing and invigorating waterfalls along groomed trails and pathways. Two days to discover Carolinian forests, geological formations and six stunning waterfalls along the Bruce Trail. 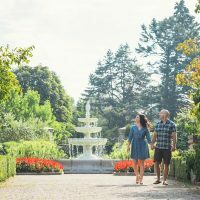 Travel along Grindstone Creek Escarpment Valley and discover the gardens and trails of the vast nature reserve that is the Royal Botanical Gardens. 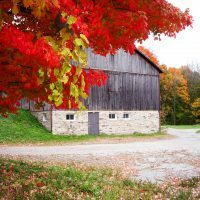 Spend two days in Halton Hills, an area of multiple conservation areas that are perfect places to access the Niagara Escarpment and Bruce Trail and enjoy hiking a vast network of wetlands and forest. In Hamilton Halton Brant, paddling adventures can be truly adventurous. It’s time to take in nature’s splendour.